Gretchen Walsh received a Master of Science in Physical Therapy Degree from Grand Valley State University in 2003 and her Doctorate of Physical Therapy at the University of St. Augustine for Health Services in 2011. She has an advanced certification in manual therapy, as well as a certification in Mechanical Diagnosis and Therapy (MDT) with the McKenzie Institute. 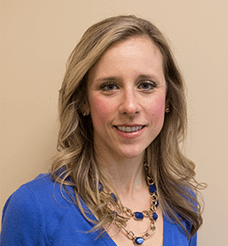 Gretchen also completed advanced training in Women’s and Men’s Health, Geriatrics, Sports Medicine, Myofascial Release, Joint Mobilizations, Trigger Point Dry Needling and Functional Re-training. In her free time, Gretchen enjoys participating in triathlons, vacationing and trying to keep up with her family.